Getting your bike dirty is great fun , just be sure to clean it when you can! As we all know, getting your bike dirty can be an incredibly fun thing to do. It takes us back to our youth in many ways, to those carefree days gone by. There is nothing quite like taking off for a spin knowing that there is a very good chance you and your bike may come back home looking like something that the cat dragged in. Once home you look upon your trusty steed with a look of pride and fulfillment, also with a slight twang of horror when you see what you have done to your once pristine friend. You see , a clean bike truly is a happy bike. As much fun as we all can have getting them dirty, our bikes like us much better when you keep your bike clean and in good running order. Why is keeping your bike clean important? As a pro bike mechanic and avid bike racer and rider I see both sides of this fence. On one hand I know all too well how much unencumbered fun it is to get one’s bike dirty but I also have first hand knowledge of how an unkempt bike can create all kinds of ugly issues for it’s owner. I see many folks pull up in front of the store in a pristine vehicle only to pull their once spotless but now muddied bicycle out of the trunk and bring it in for service. After greeting the customer and chatting for a bit we get down to the real reason they are at the bike shop; their bike. Oh yeah, their trusty bike. Love your bike and it will love you! The only thing in some folks lives that can take them away from the riggers of the daily grind , take you back to a time when the only thing that mattered was having fun. For many the one thing that in their mind gives them a smile and never asks for anything in return. And this is true, a bike will give it’s rider hours and miles and miles of joy until that one day arises and it is the rider’s turn to give back to the bicycle. For most of us one of the best things about cycling is it’s simplicity, something we can do that doesn’t remind us of the daily in’s and outs. Our bikes become a way to escape without having to do much or put much thought into those few minutes or hours except to turn those pedals. We forget that over the many miles of roads and trails that our bikes are breaking down , slowly but surely. Our bikes become dirt and grime covered while giving us so much in return. It is up to us to give back to them and keep them in good running order so that they may give us many more miles of fun. Don’t forget your bike maintenance! There is more to being a bike owner than just putting air in the tires and lubing the chain. That is not to say that we need to become slaves to our bikes by any means. I do feel however that it is our responsibility as bike owners to maintain our investment. Too often do I see folks being neglectful of their bikes and when they do finally break down they are upset and blame the bike, the manufacturer or the shop they bought it from for the bike failing. In my 25 plus years of experience as a bike mechanic I would have to say that 90-95% of most bike failures are as a result of their owners not properly caring for them. We spend thousands of dollars a year maintaining and gassing up our cars but when it comes time to put a few dollars into our bicycles we can’t find our wallets ? But we continue to ask our bikes to respond under all that grime and dirt, with those balding tires and worn brake pads. If you give back to your bike it will continue to return the favor in spades. 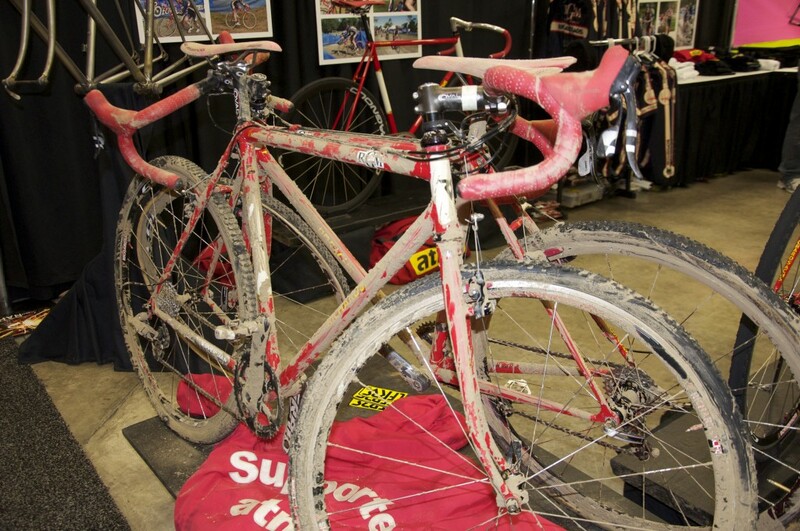 How is a bike effected by being too dirty? Are you aware that a dirty chain can rob you of 10 % of your pedaling efficiency? Do you know that that little shard of metal stuck in your tire casing will eventually find it’s way through into the tube and cause you to flat? Did you know that those worn brake pads are becoming a safety issue and are causing your rims to wear out prematurely? Do you know that simply by changing out your shift and brake cables every so often how much smoother your bike can run? Did you know that by running your chain through a lubricated cloth every couple of rides that you will remove much of the road grime that can build up and lubricate your chain at the same time , extending the life of your drivetrain? Most folks would answer no to these questions , and that is where your friendly local bike shop can help. We are bike mechanics and bike enthusiasts, we love bikes and we love working on them . We take pride in helping riders give back to their bikes. To us there is nothing better than taking a well ridden, worn down bike and bring bringing it back to it’s former glory. We can help you help your bicycle. Our mantra at Dedham Bike is always Keep It Clean!